"Our customer says the SCS tubes we supply look like cold rolled and they no longer have to shot blast to clean and remove rust prior to painting." To maximize SCS tube and pipe production benefits, certain process adaptations may be warranted, such as replacing oil-based lubricants with a water-based lubricant. This helps make SCS tubes "ready-to-paint" right from the mill. 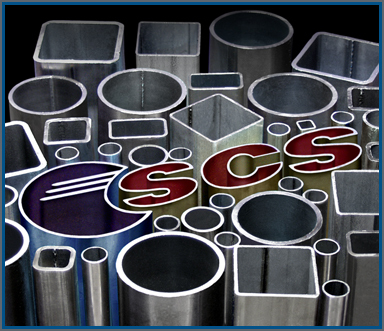 A producer of round and rectangular tubes found SCS coil, with no edge wave, gave a better weld seam. Coupled with SCS' ultra-clean surface, this let them weld more consistently and, therefore, run the tube mill faster. After running their first coil of SCS, the mill operator of this major pipe producer commented: "That's the nicest 14 ga. material I've run in my 20 years here. It provides a cleaner base for our UV coating and I think it will make our welding contacts last longer." A tuber making safety railing from hot rolled black coil said its customers sandblast their tube prior to painting. The tube they made from from SCS coil was so clean it could pass for cold rolled and their customers could skip sandblasting completely.